We would like to thank you all for your support and participation in our tournament! 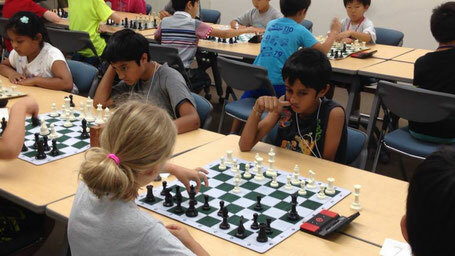 We saw so much enthusiasm for the 1st Scholastic Chess Tournament, which led to a memorable experience. 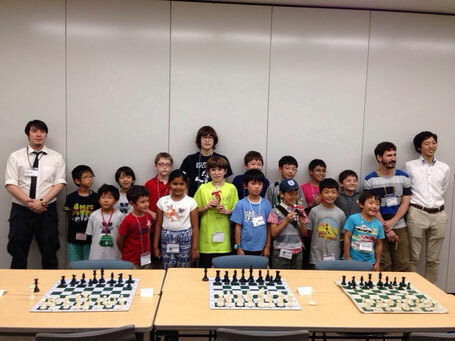 20 players from at least 13 schools are participated in our 1st tournament held by the Tokyo Bilingual Chess Club on June 28, 2015. The kids mastered the rules and rulings approach quickly and are not bashful about putting up their hand for a ruling, just like in a rated tournament. They've done great in their sportmanship development. Conglaturations to the prize winners! 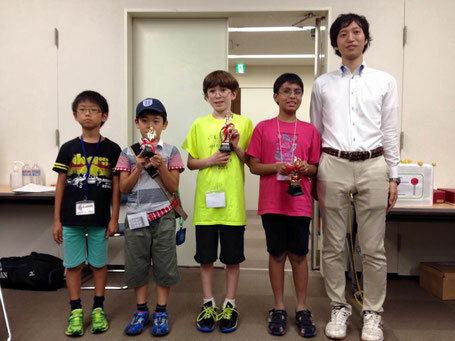 After commencing, IM Ryosuke Nanjo, the Japan's first IM, spoke for a while expressing his gratitude for being invited to the TBCC's 1st Scholastic Tournament. He was also present at the tournament analyzing games and entertaining parents and chess players alike with his contagious excitement. 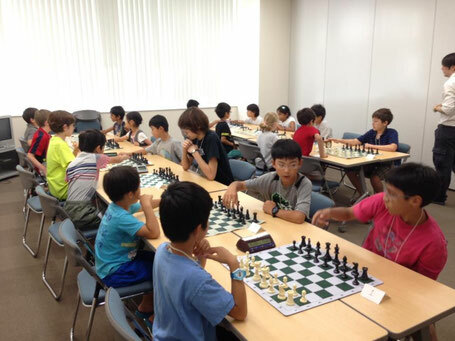 More photos can be viewed at our FB page of Tokyo Bilingual Chess Club. 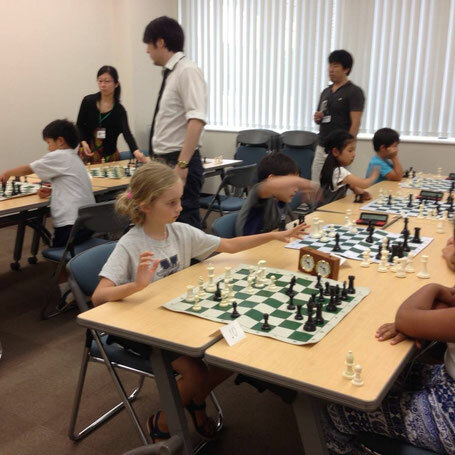 Tokyo Bilingual Chess Club has just donated a portion of the profit made from the tournament as well as your thankful donations to the Ishinomaki Children's Newspaper. It is a newspaper reporting on Ishinomaki today, written by the children of the town, where was hit by the Great East Japan Earthquake in 2011. Again, our sincere thanks for your support! See you all in September at the next tournament!